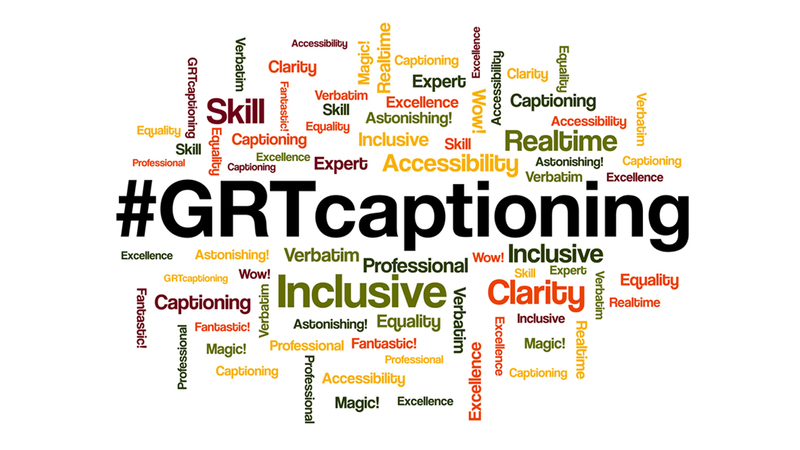 GRT Captioning are international live captioning specialists. We offer highly accurate real time verbatim captioning for international conferences, seminars and workshops. We work with global companies, governments and organisations such as the Council of Europe to increase access to a wide range of events for a wide range of individuals and groups. We cover diverse topics from Tech and Scientific Research through to international study sessions for third-sector NGOs, and everything in between. Real time Captioning is essential for an international audience that combines many accents and levels of English, or people with access requirements such as a hearing impairment. We have teams of highly skilled and experienced stenographers working to produce captions of the highest quality. Whether you require your captions to be displayed for the whole audience or for individuals on tablets, phones or via the internet, we have the solution for you. Every spoken word is captured and transcripts can be made available simultaneously. There is no easier option for inclusivity to spoken language than to book GRT. We can also provide Sign Language or Spoken Language Interpreting if your inclusivity requirement extends further.